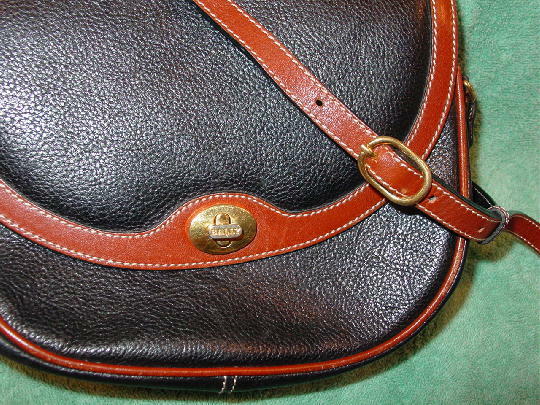 This leather vintage Bally purse was made in Italy. It's black with a saddle tan trim. 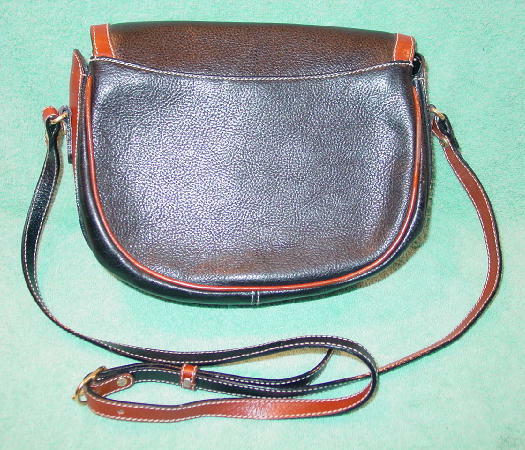 The leather shoulder strap (50" long by 1/2" wide - 43" long in current configuration) is black on the underside and saddle tan on the exterior. It has a rounded bottom and modified envelope styling. The gold-tone closure, which has Bally etched on the front, turns horizontally to close. The leather lined interior has two separate sections and a back fabric-lined deep zippered pocket. There is a gold-tone metal logo tag behind the zippered pocket. 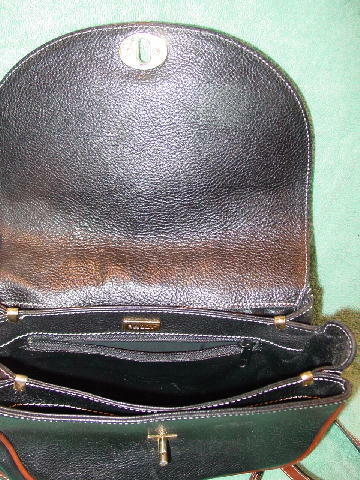 On the interior left side is a gray tag that says Bally and was made in Italy. 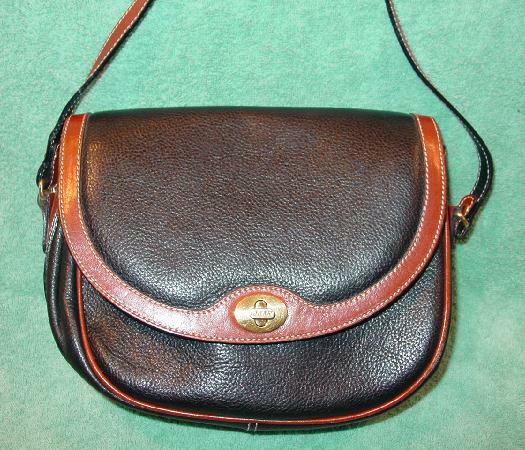 The shoulder strap has an oval gold-tone buckle and 5 holes. The purse has white accent stitching. The saddle tan leather trim has some scuff marks and the right back side saddle trim has a 1" area where the color is not as dark.